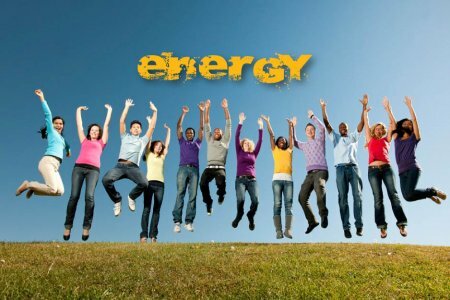 What’s sapping your energy and what can you do? One of the biggest complaints from my clients is lack of energy. Energy seems to be one of those illusive things which people always want more of. 1. Unbalanced levels of protein, fat and carbohydrate. The ratio of protein, fat and carbohydrate will depend very much on your metabolism and your level of physical activity. Excluding whole food groups from the diet such as carbohydrate or fat is never a good idea as both provide good sources of energy. Remember though that quality is everything here, concentrate on complex (fibrous) carbohydrate rather than refined carbohydrates and essential fats rather than saturated fats. Eat nourishing foods or, ‘nutrient dense,’ foods which contain lots of vitamins and minerals. A diet based on whole grains, beans, pulses, good sources of meat and fish with plenty of fruit, vegetables, nuts and seeds would provide plenty of good nutrients. Avoid sugar and processed carbohydrates which might be bulky but nevertheless devoid of nutrients. Avoiding sugar, processed foods and nicotine, keeping caffeine and alcohol down to a minimum and buying organic where you can will help to reduce the toxic load on the liver. Liver detoxification requires a lot of energy so reducing the load here will give you more energy for day to day living. Remember that stress can be physical, chemical and emotional. Whatever the cause it will drain your energy. The advice I often give to my clients is to control the areas of stress that can be controlled such as chemical stressor which are all the things mentioned in relation to toxic exposure. Exercise can be a stress reliever but too much exercise can also add to your levels of physical stress. If you are stressed consider Yoga and Pilates as an alternative to more overtly physical forms of exercise. Signs of discomfort in the digestive i.e. gas, bloating, pain, constipation, diarrhoea are all signs of poor digestive function. If you are not digesting you food effectively then you will not be absorbing the nutrients from your food which will lead to vitamin and mineral deficiencies which in turn will deplete your energy. There isn’t a simple answer here, poor digestion can be as a result of a whole host of things which would need a deeper exploration than can be given here. See blog post, ‘Improve your digestion 7 top tips,’ which might help here. ← Health by design! Is your environment making you unhealthy?